Why See The Starry Messenger? 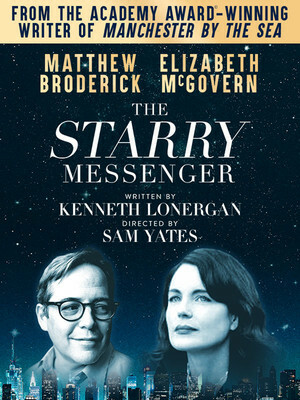 Broadway's most radiant leading man will make his West End Debut in this brand new production of Kenneth Lonergan's cosmic play, The Starry Messenger. 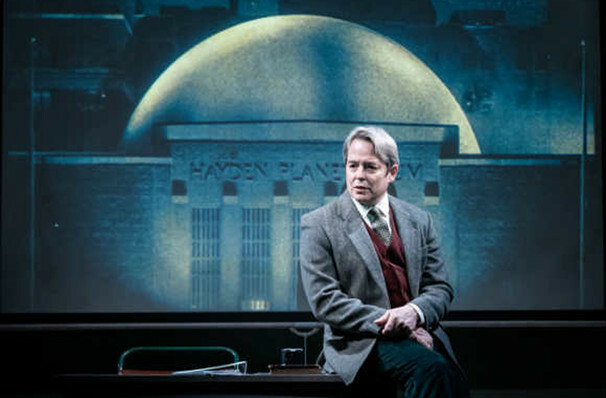 Starring opposite Downtown Abbey alum Elizabeth McGovern, Broderick takes on the role of an astronomy teacher on the verge of a mid-life crisis, reprising the part he played in the play's 2009 Off-Broadway premiere. A two time Tony winner, Broderick has enjoyed an extensive career on stage and on screen, with his turn in Mel Brook's The Producers taking him and co-star Nathan Lane to Hollywood in the remake. Following the fortunes of Mark, an astronomy teacher whose Planetarium and marriage are both on the brink of collapse, Lonergan's play examines the highs and lows of life and how often they are ignored in the minutiae of the everyday. When Mark is drawn into a romance with a beguiling single mother, he is forced to change his perspective and finds himself questioning everything he thought was set in stone. Witty and naturalistic, it is classic example of Lonergan's ability to hold up a mirror to life and show us something we missed the first time round. Seen The Starry Messenger? Loved it? Hated it? Sound good to you? Share this page on social media and let your friends know about The Starry Messenger at Wyndhams Theatre.